Eggplants, or aubergines as they are called in British English, are tropical and subtropical plants that thrive in warm temperatures. They belong to the nightshade family, along with peppers, potatoes, and tomatoes. It's not that difficult to grow eggplant in your kitchen garden. A vegetable of warm climates, eggplant thrives in well-draining soil that is rich in organic matter with consistent moisture and full sun. 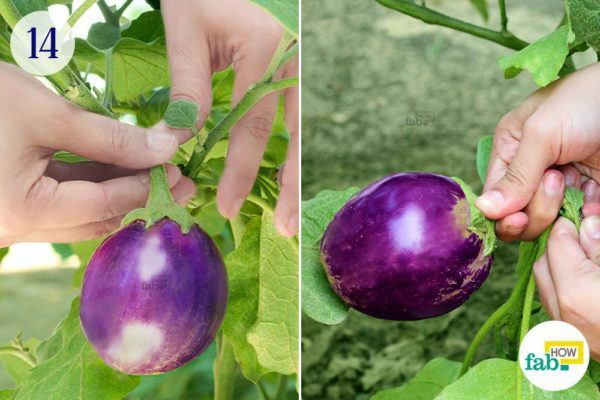 With proper care, you can easily grow different varieties of eggplant that suit your needs. 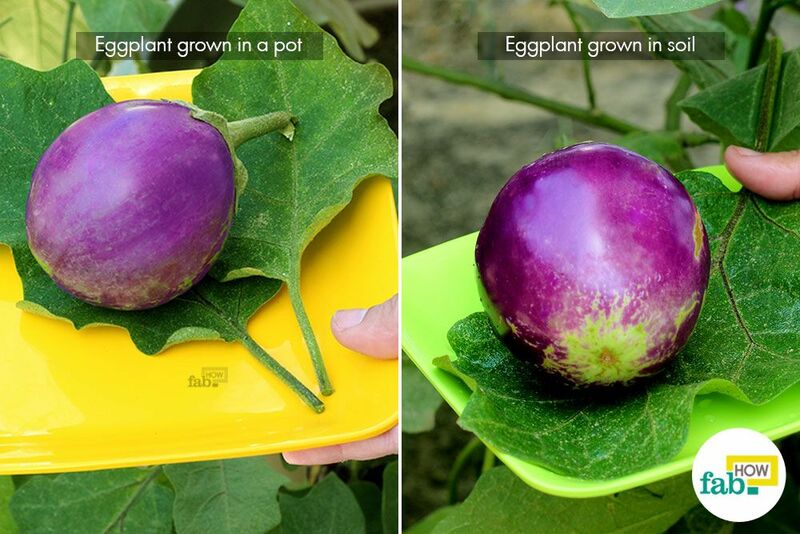 A clay pot is a good choice when growing eggplants in a pot. 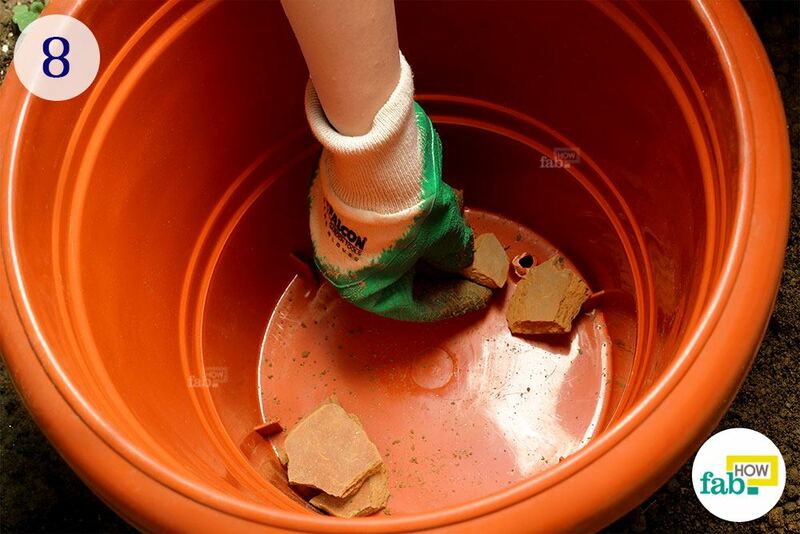 It absorbs more heat, thus warming the soil, which is essential for the plant’s growth. While eggplant contains a good amount of dietary fiber, vitamin B1, and copper, it is prized for its culinary contribution rather than nutritional profile. Eggplants can be grilled, baked or mashed in a variety of preparations and are favored for their unique taste and texture. Eggplants come in a variety of shapes, sizes, and colors. While white and shades of purple are the most prominent, they also come in green and orange. Having dramatic foliage, well-tended plants make for a great choice in ornamental gardens or potted arrangements. Whether you’ve decided to grow eggplant for culinary use or their ornamental beauty, these guidelines should help you along. 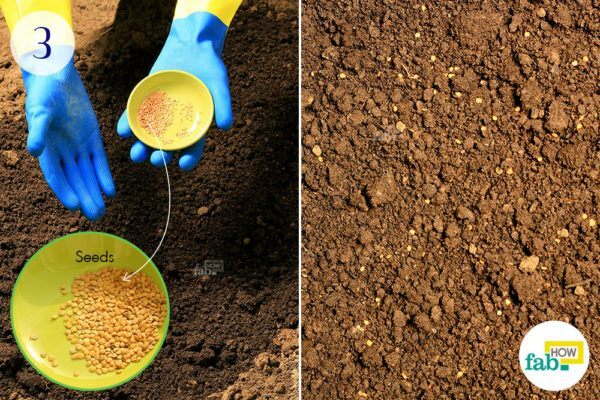 Select a patch of soil for germinating the seeds. Loosen the soil with a garden rake, as eggplants require well-draining soil and compact soil prevents good drainage. 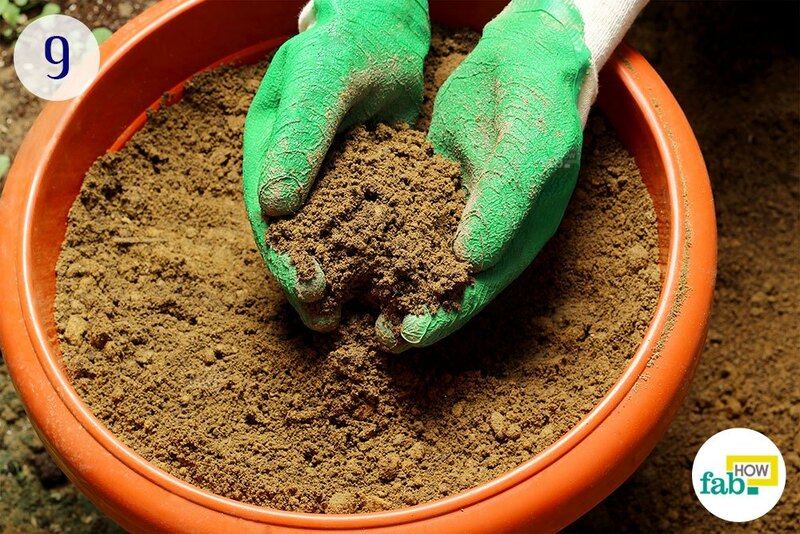 If you have clay soil, add sand to improve aeration. You may also use a germination tray or a spare pot for germinating the seeds. 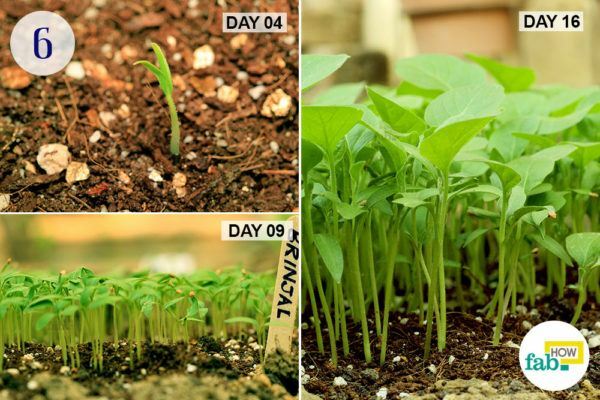 Since eggplant seeds need very warm temperatures to germinate (80-90 degrees), it may be best to let them sprout inside before transplanting them outdoors if you live in an area with cool Spring weather. Try keeping them on top of the refrigerator or wash machine, the warmth of the appliances can help germination! Spread a 1-inch thick layer of vermicompost or any other organic compost over the raked patch of soil. The compost should be aged appropriately. 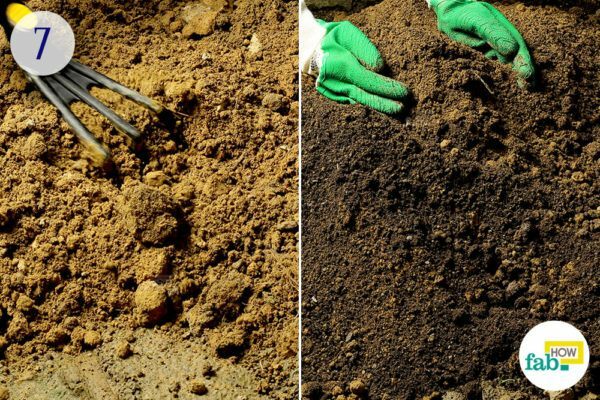 Inadequately aged manure may contribute to diseases in the soil. Get good quality seeds from your local seed store or garden nursery to ensure a good yield. Select a variety that’s well suited to your garden and your needs. Sprinkle the seeds evenly over the patch. While you won’t find much resemblance between an eggplant and a tomato, their seeds share some resemblance. Eggplant seeds look quite like pepper seeds. Cover the seed patch with a layer of potting mix. 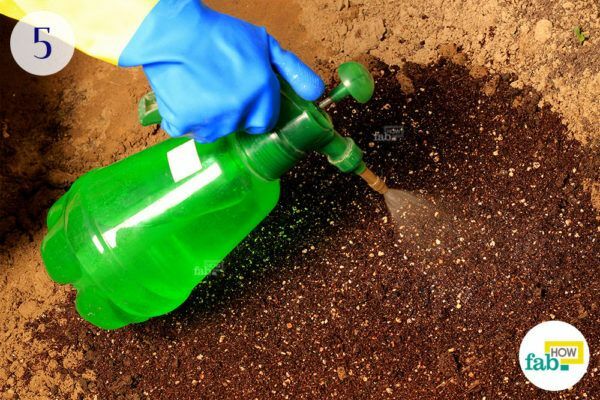 Water the seed patch evenly to ensure moisture in the soil and facilitate germination. The seeds take 7 to 10 days to germinate at an ideal temperature in the range of 80° to 90° F. However, the seeds will also sometimes germinate in the range of 60° to 90° F, but not always, so be cautious about the temperature. Ensure that the soil remains in the required temperature range for unhindered germination. 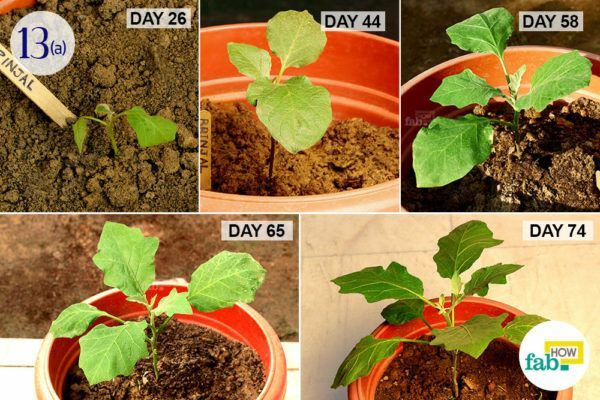 Although starting the eggplants from seeds is somewhat challenging, you should have a good yield if you provide the required care in the plant’s early stage. 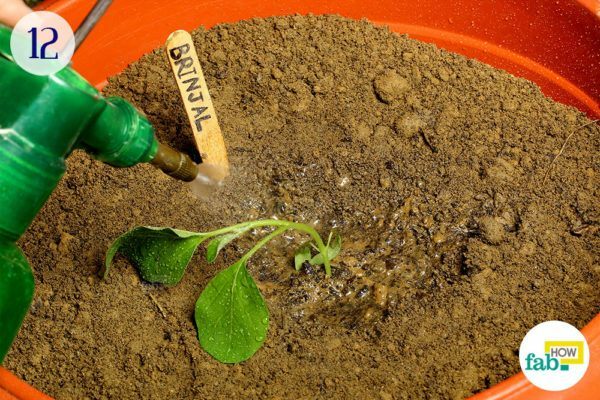 Consider labeling the seedling patch with a garden label to distinguish it from other seedlings. Loosen the soil that you’re going to use in your pot thoroughly with a rake. Add vermicompost or any other organic compost to the soil, as eggplant prefers a soil rich in organic matter. 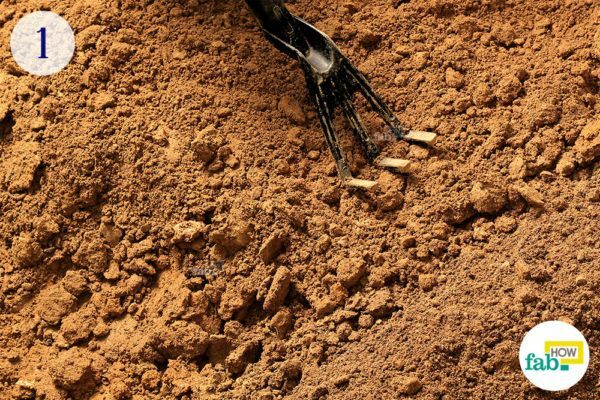 Those with compact clay soils should add sand to aerate the soil to improve its draining properties. Eggplant prefers slightly acidic soil in the range of 5.0 to 6.5 pH. Select a pot with a couple of holes in the bottom. Line the holes with a few stones to allow good drainage. The pot should be about 5 gallons in volume to be able to house the plant comfortably. Fill the pot with the prepared soil. Resist compacting the soil with your hands. Let it stay loose instead. Choose the strongest and sturdiest of the seedlings for transplanting. 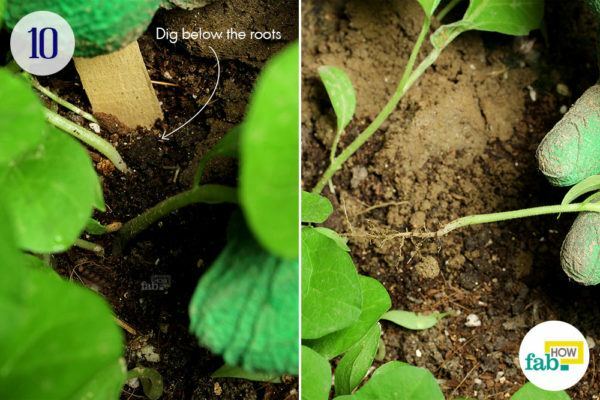 Use a wooden stick to dig below the roots of the chosen seedling and push the soil mass, roots and all, upward and gently lift the seedling out. 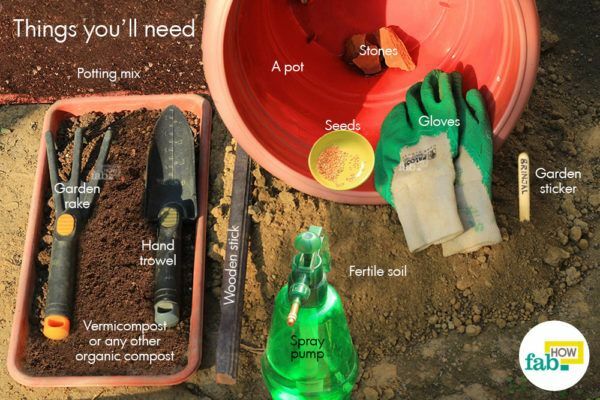 Make a deep hole in the soil with a wooden stick. 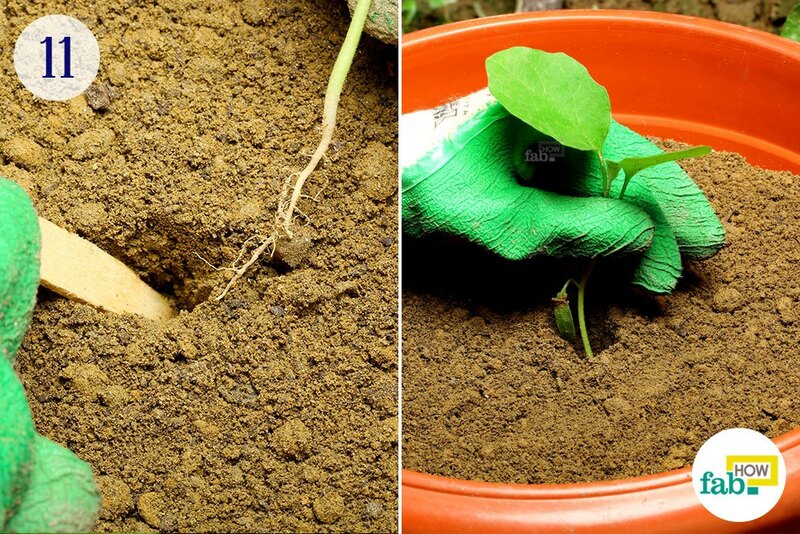 Gently set the seedling into the soil and fill the hole with soil while ensuring that the seedling is planted upright. Water the seedling in the pot. Since eggplants require consistent moisture, you’ll need to water the plant regularly to maintain the moisture content in the soil. If warm weather creates a dry spell in your area, you’ll need efficient, periodic watering to help the plant along. If you’ve opted for a heavy fruit variety, you’ll need to support the plant with a stake because plants laden with heavy fruits are prone to falling over. Consider staking the plant early on so as not to disturb the soil and the plant later. If you have a small tomato cage, you can use one for this purpose. Like some other members of the nightshade family, eggplant loves the sun. Ensure maximum sunlight for the plant. Its leathery leaves do a good job of protecting the fruit. The plant bears a violet blossom that’s usually inconspicuous and hidden in the foliage. The plant requires protection from pests in the early stages. You may use floating row covers, target and destroy the pests, or introduce their natural predators to control them. 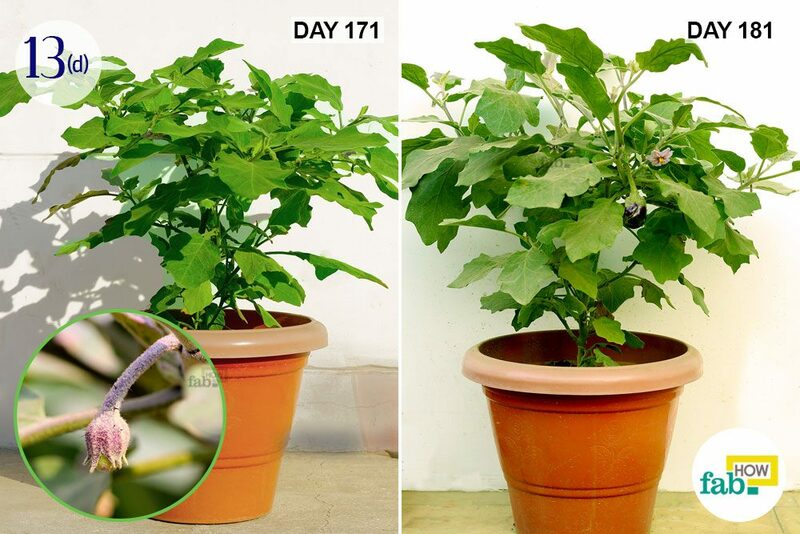 After the plant matures, the pests will not affect the yield so long as the plant is healthy. That being said, aphids, flea beetles, cutworms and Colorado Potato beetles are the ones that you need to watch out for. Among diseases, Verticillium wilt is the one that can damage your plant. Usually, the eggplants are ready for harvest about 90 days after transplanting. Since our plants had to deal with a late cold spell, the flowers and fruits appeared quite late. The variety that you choose will determine the size of a ripe eggplant. Additionally, you can do a squeeze test to check the ripeness. Give the fruit a mild squeeze with your thumb. Unripe fruits will be hard and won’t yield to the pressure, whereas overripe fruits will retain the indentation of your thumb. Perfectly ripe fruits give in to the pressure but bounce back to their original form. Also, overripe fruits lose the glossy shine on their skin. Pick the ripe eggplants, keeping an inch or so of the stem or calyx attached. This helps prolong the shelf life of the eggplants. Rinse with plain water, pat dry and store for several days in the refrigerator. The eggplant that we planted in soil bed developed better and quicker. It bore flowers about 20 days before its potted counterpart, and upon harvest, the fruits were also larger in size. 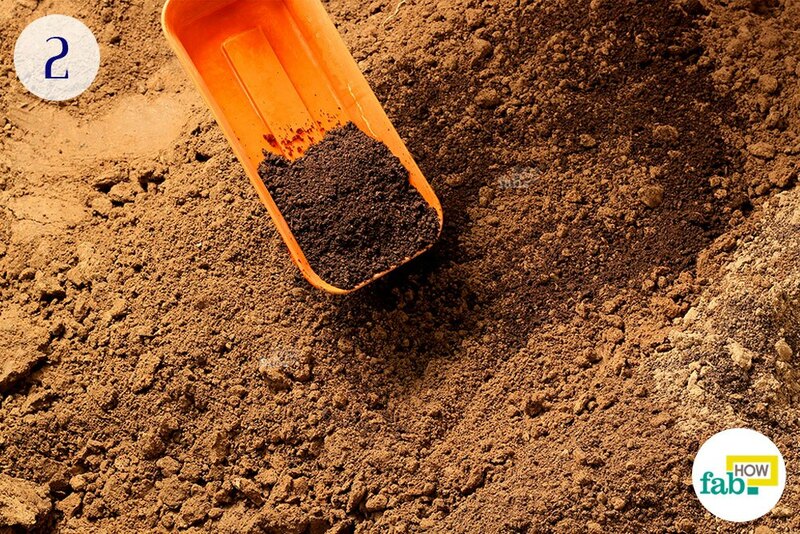 In order to maintain consistent moisture and temperature in the soil, mulch may be added. 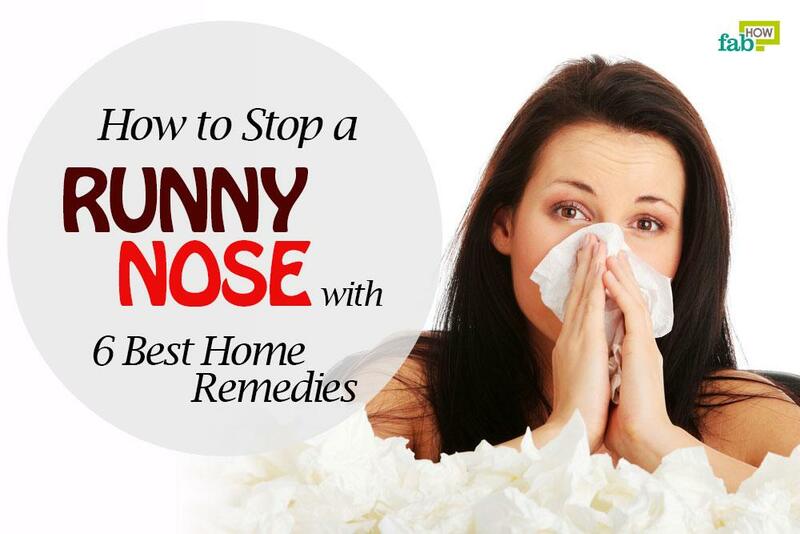 It also helps to protect the roots and keep the weeds out. Avoid planting eggplants in the same spot used for peppers and tomatoes. 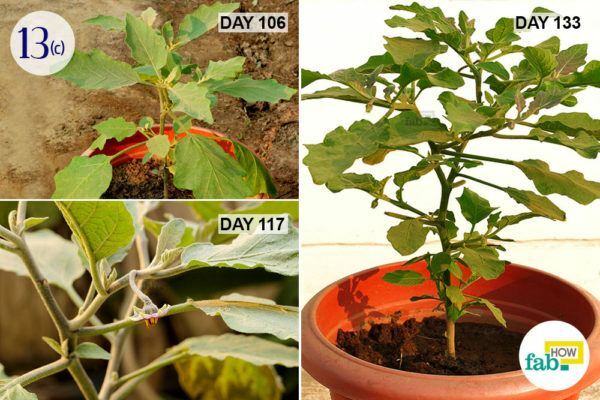 Belonging to the same nightshade family, they are susceptible to similar diseases. 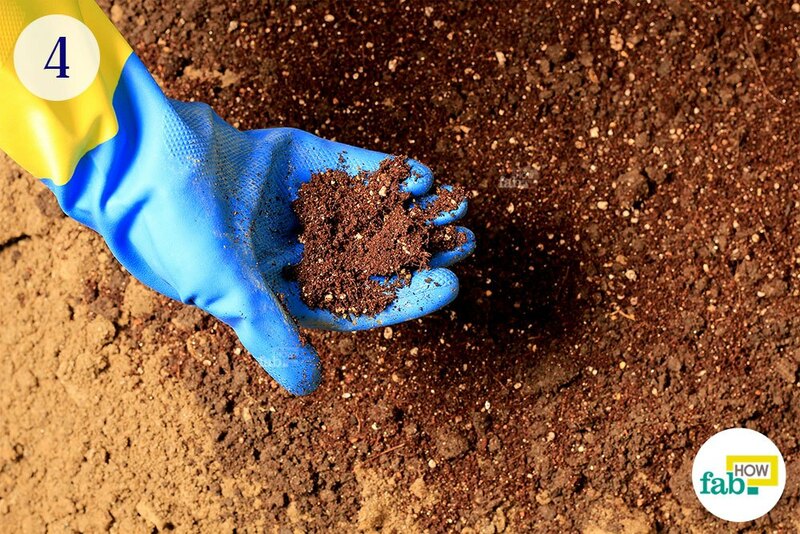 Adding coffee grounds to the soil is a good way to increase the acidity and make the soil eggplant friendly. If you have a large garden, a drip system is an ideal way to ensure consistent moisture that’s preferred by the eggplants. The seeds of underripe eggplants are not visible, whereas overripe eggplants have large seeds that taste bitter. 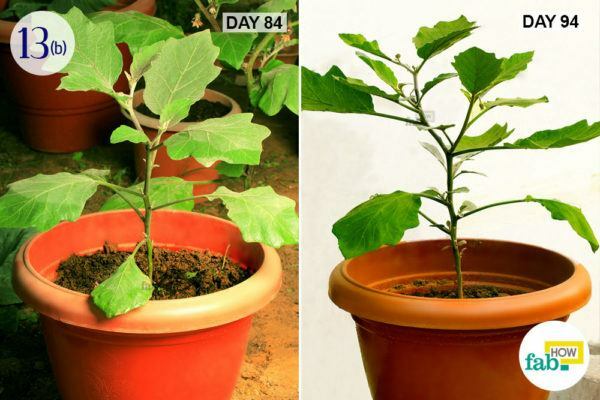 You can use a high nitrogen fertilizer during the first two months of growth to encourage strong foliage but switch to a more well-rounded fertilizer with higher potassium and phosphorous levels when the plant is mature and ready to start flowering. My bittergourd is 4*5 months old and fruits 1-2 per week, However the fruits turns yellow very quickly. Can I understand why or have some advise what I can do? Yellowing of bitter gourd shows the overripeness of the fruit. Make sure you harvest them timely. 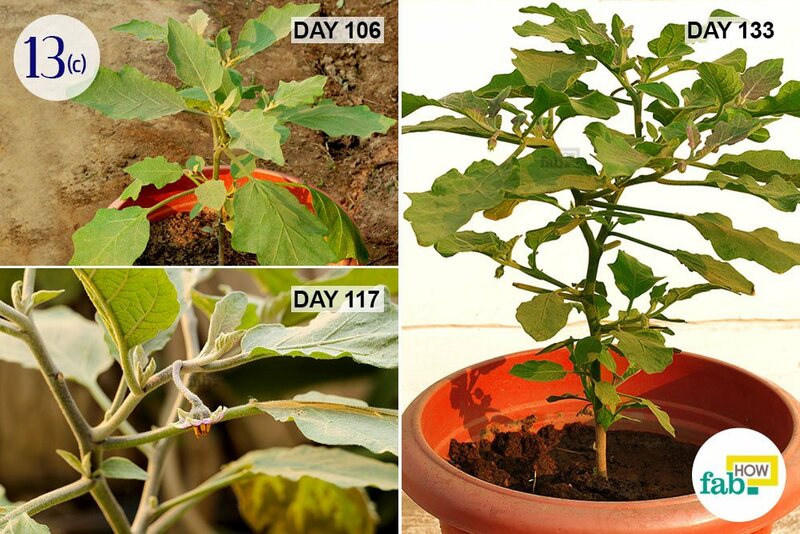 Visit- https://www.fabhow.com/how-to-grow-organic-bitter-gourd-in-a-pot.html to learn how to grow bitter gourd at home.